Long time no post from me! I’ve been busy. Mostly I’m handling character stuff right now(exciting!) 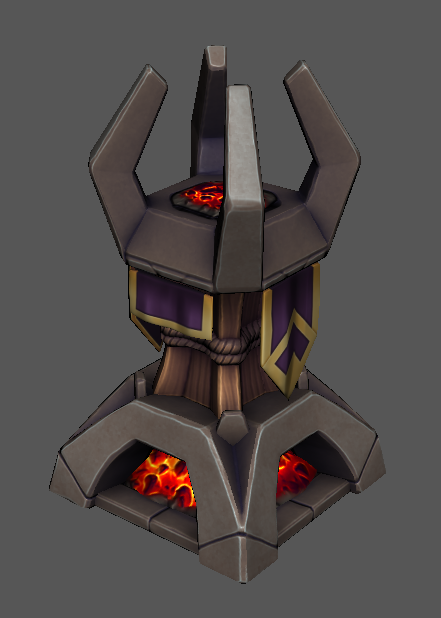 but I also took the time to finally… finally make the proper assets for the Beacon Control and Campfire. Hopefully you are not surprised to hear that the grey cube with BEACON written on it was not our intention for the final look of the beacon control. This is the Campfire. 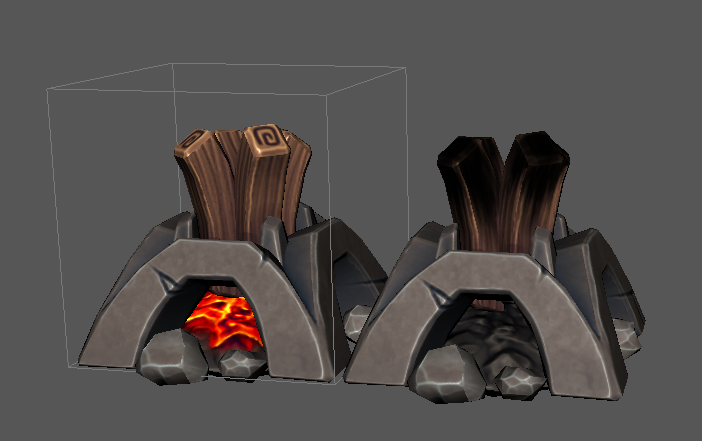 It has two visual states: one active, with glowing embers and some sparks/flame effects(soon to come I hope), and one burnt out, sooty and smoky, for when the campfire has expired. This is the Beacon Control! About two blocks tall rather than just one so you can see it from a bit further away, this will also feature some snazzy fire effects when it’s fueled. 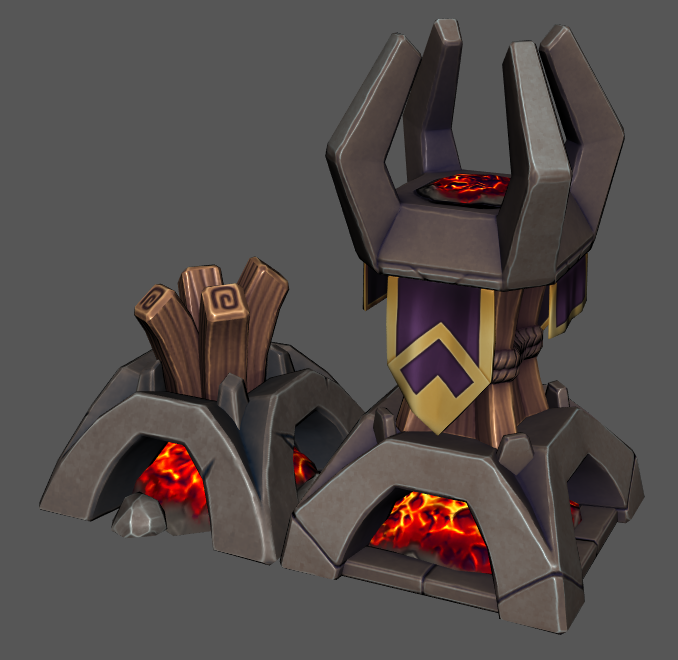 When the fuel starts running low the fire will start getting smoky, and if you let the Beacon run out of fuel it will change to a burnt-out version similar to the Campfire. Do note that although the Beacon Control appears to be two blocks tall and you won’t be able to directly place another block on top of it, it actually only occupies its base block(so you’ll need to target its base to refuel it) and you can build through the top of it if you really want to. Placing slabs over it will make it hard to interact with but could lead to some neat effects in your builds, maybe! Weekly Dev Update: 2017 April 28th - Character Customisation and Beacon Controls! IIRC, there was previously some discussion about beacon controls having some visual indication of prestige level. Are you designing visual assets for this? 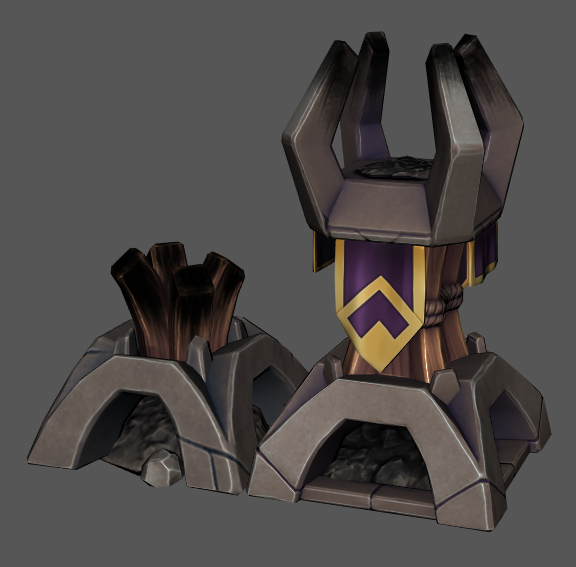 Or perhaps instead will this simply be indicated by different vfx being applied to the default beacon model? Yes - we’re keen to do this via a VFX progression. These look great. I love that there’s visual clues to the state of the campfire/beacon so you can tell basic states at a glance. The ‘tabard’ on the beacon is something that lends itself to customization at some point, too – maybe your town/guild/etc. 's logo on it / a monogram / new colours. They look fabulous @jesshyland! Will be even better with the planned effects! Guess my beacons will see the light of day now. The poor ones have been out of sight since existence. That looks was too awesome! Really like the design, good work. This will make the beacon a central place of the builds, at least in my builds . I think even putting a few of them in some kind of formation would look great. these look amazing! i love the design. out of curiosity, is there any chance of customizing/personalizing them? like if i wanted to make a Blue and gold flag, instead of Purple and gold?